Talk of a Chicago Cubs victory party started way before the Cubs actually made it to the World Series this fall. (This is what happens when you marry a fourth-generation Chicago Cubs fan.) And at this party, it was promised that Italian beef sandwiches would be ordered from Chicago’s iconic Portillo’s restaurant. I said I’d take care of the chocolate cake. A simple banana bread recipe is a quick way to make a new kitchen smell like home. I’m in the process of having my kitchen renovated, which means I’ve been limited to my electric tea kettle and my microwave to make something hot to eat or drink when at home. Toast may be trendy in hipster restaurants but the concept is older than sliced bread. Croque monsieur with creamy béchemal sauce has long been a classic French comfort food. 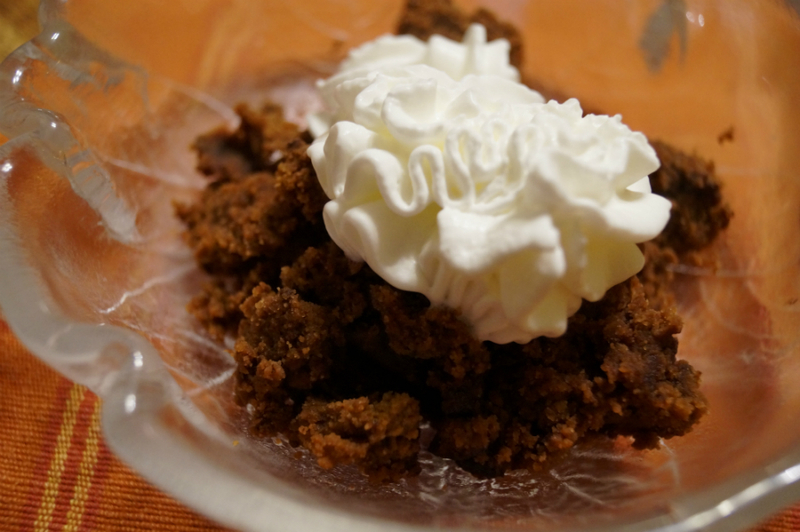 Pumpkin spice is everywhere (again) this fall so why not join the fun with this delicious combination of pumpkin, spice, coffee, and chocolate for a decadent gluten-free pudding topped with vanilla ice cream or whipped cream? It may just give pumpkin pie a nudge at your holiday table.